Nova Music return for their monthly showcase of the best up and coming artists in the capital! 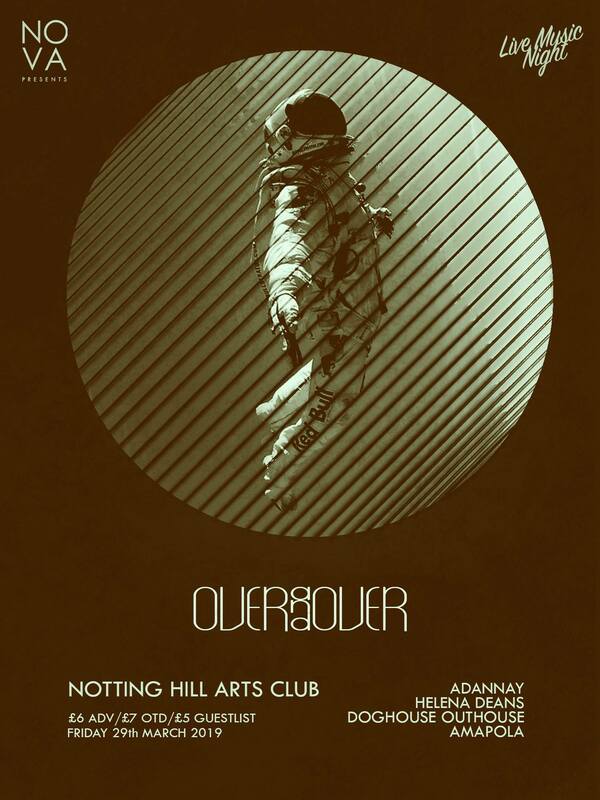 Not long now until we are back at Notting Hill Arts Club to continue our new music showcases, now on the last Friday of every month. Tickets are just £6 in advance, £8 on the door or drop us a message to be added to the £5 Guestlist. * If you are buying tickets on the door please ensure you have cash for entry. The venue only accepts card inside for drinks. This is an 18+ venue everyone will be asked to provide valid photographic ID no matter your age and please be respectful to staff. You will not be allowed entry to the venue with food or drink so please eat before you arrive. *names on the £5 guestlist must be inside the venue by 9.00pm, arrival after this time will result in paying full price on the door.